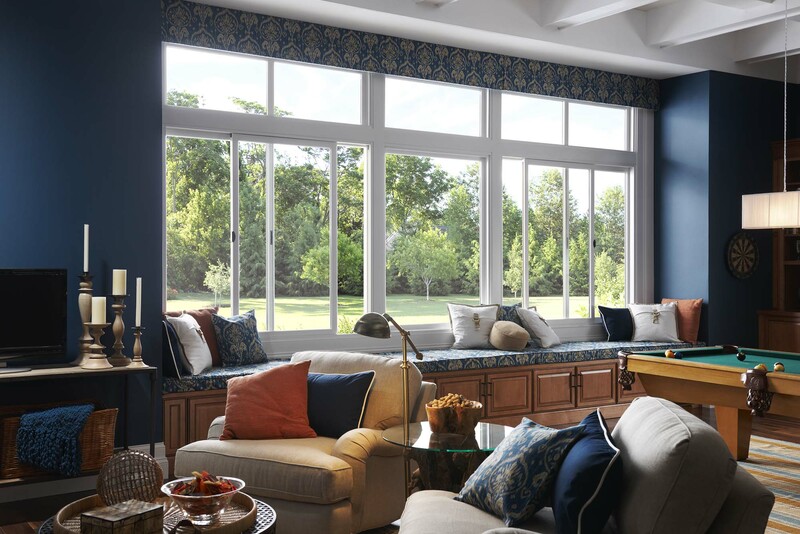 Whether you require window maintenance, replacement windows for existing homes, or windows for new construction, Sound Glass will be your trusted partner and provide the exceptional service and high-quality products you deserve. From vinyl to wood, and fiberglass to aluminum, we offer a variety of window options to match any application or project. We ship directly to your jobsite, or our skilled American Architectural Manufacturers Association (AAMA) certified specialists can install your windows. Either way, you’ll receive stunning windows that make a statement. Vinyl windows have come a long way over the years. They still help homeowners save money by keeping homes warm in the winter and cool in the summer, but today’s vinyl windows now go beyond simple double-glazing. Modern technologies allow for greater energy savings, comfort, and design options than ever before. Sound Glass is a Milgard certified dealer, which allows us to offer a lifetime warranty on Milgard windows for the original buyer. We also represent Ply Gem and other trusted manufacturers. 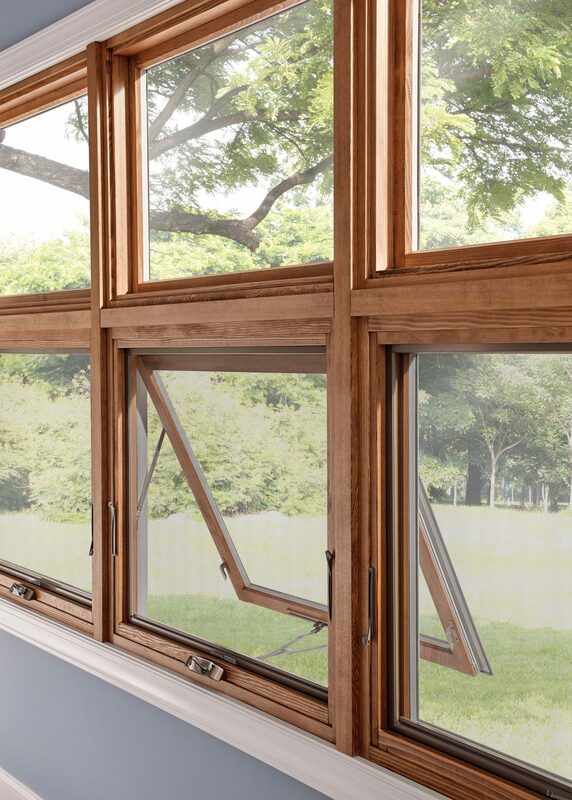 Not only do we offer exceptional wood window maintenance, we also provide selections from Loewen and the prestigious Milgard Essence line. Wood windows are a triple threat—they offer warmth, beauty, and energy efficiency. An aluminum clad exterior option gives owners carefree protection for the wood and comes in a large variety of colors. 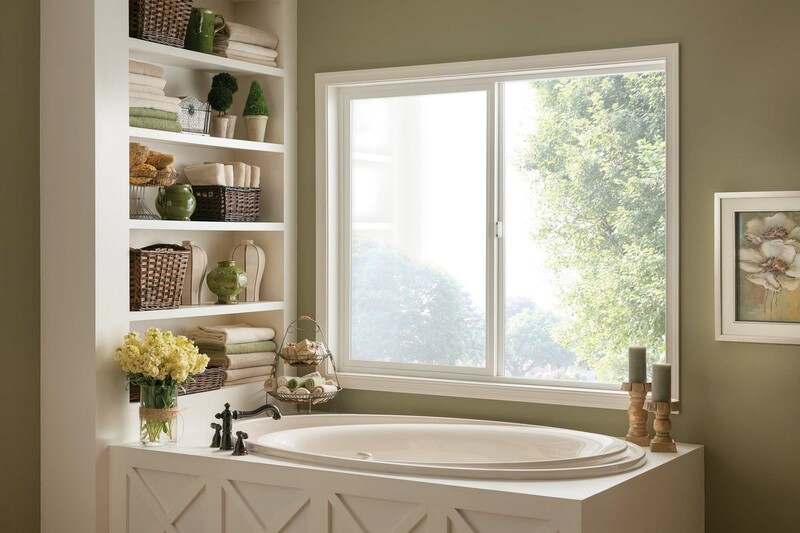 When you first look at a fiberglass window, you might think you’re looking at a wood window. That’s because fiberglass windows are designed to match the beauty and profile of solid wood windows while providing the strength, durability, and performance of fiberglass windows. 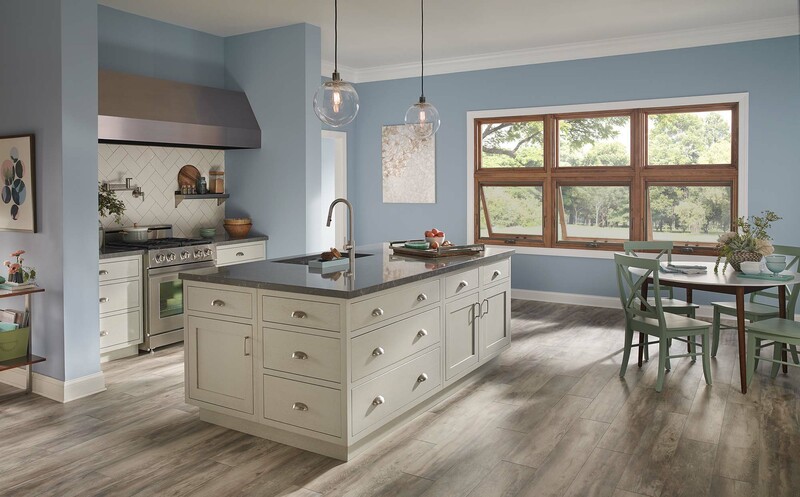 The fiberglass production process creates the look of painted wood windows on the exterior, with the option of choosing fiberglass or natural wood for the interior. 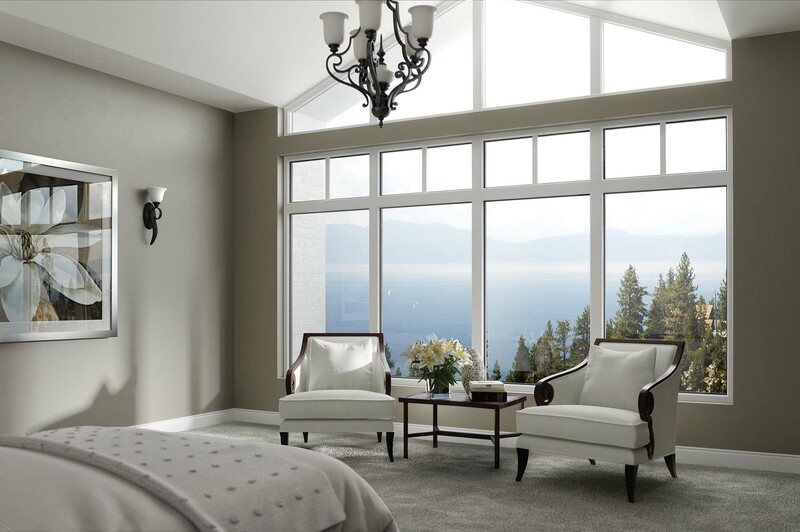 Fiberglass and Fibrex windows offer new efficiencies and come in a selection of colors. Partner with Sound Glass, and we can help you navigate this innovative process. Sound Glass is excited to offer Fibrex, a composite material invented by Andersen Windows. Fibrex is known for its superior strength and performance when exposed to extreme temperatures. South Puget Sound is no stranger to fluctuating weather, making Fibrex a great option for homeowners and contractors in this area. Plus, Fibrex is made of reclaimed wood fiber and PVC polymer, which means it won’t flake, blister, or fade. 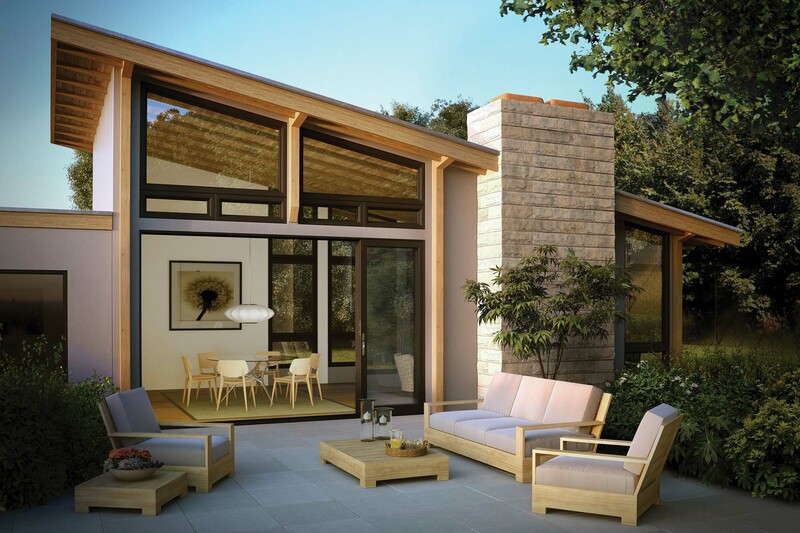 Learn more about Fibrex Windows from Andersen. If you’re in search of windows that are lightweight but still strong, consider aluminum. These durable frames won’t require extensive maintenance, which is a relief to homeowners and contractors alike.